Is there a „nearby“ reference genome? Deep sequencing or cDNA normalization? Aim of the study versus limits of a reference transcriptome? Short term goals and long term goals? Functional setup (replicates and conditions)? 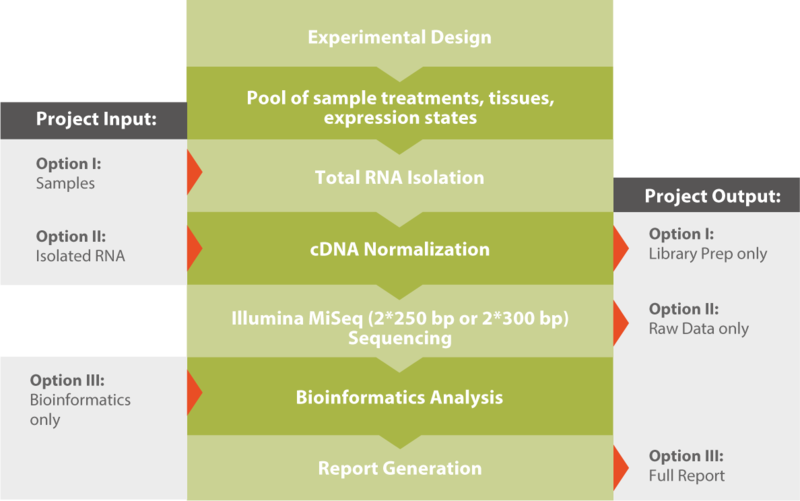 A typical workflow for a reference transcriptome project is shown in the graphic below. Please note that our highly-modular processes allow you various entry and opting out options. If you outsource your entire NGS project to Microsynth or only parts of it is up to you. For further reading and a detailed technical description, please download our Application Note Reference Transcriptome Sequencing (see related downloads). Our analysis module provides de novo information on previously unknown transcriptomes. The results provided include a broad overview of the transcriptome, the transcript sequences and their detailed annotation. 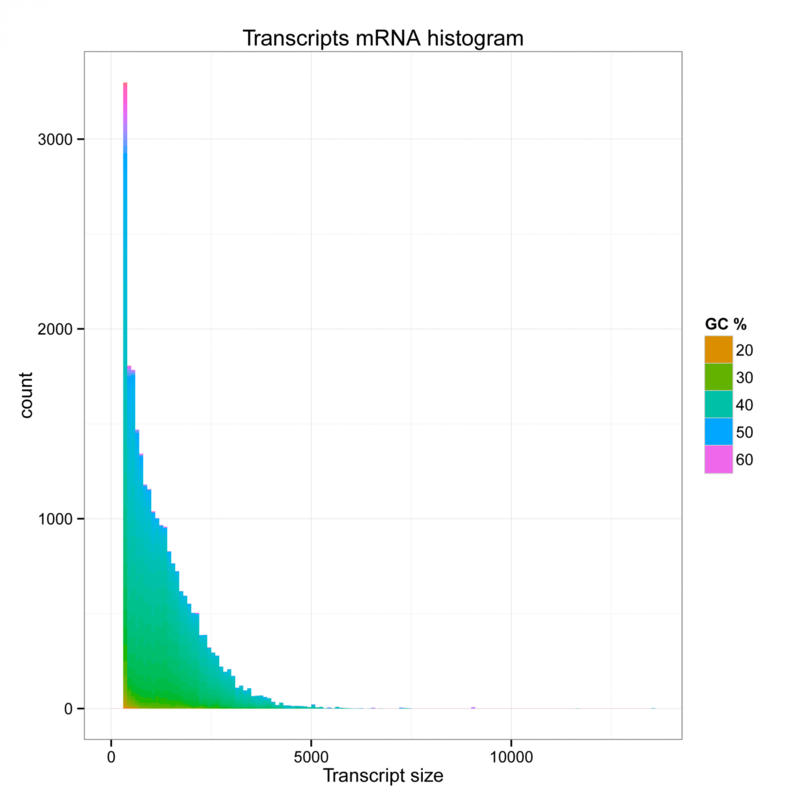 Figure 1: Histogram of transcipt sizes and their GC content. Table 1: This detail of a result table lists two exemplary transcripts. Table 2: Detail of a results table listing parts of the annotation for the two exemplary transcripts. Detailed information on our de novo transcriptome assembly and annotation service.